INSIDE : My top 10 Favorite Script Fonts with a modern handwritten look! 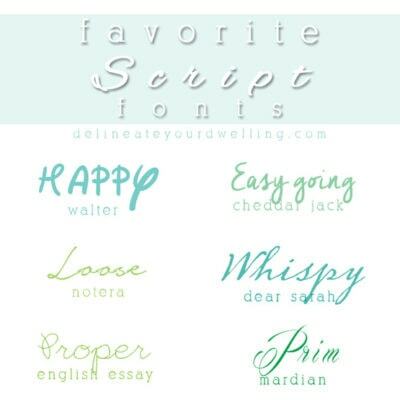 Be sure to get these free downloadable best Script fonts. They are perfect for writing letters, invitations, party games and more. I have been collecting fonts for years now. Even while working as a landscape architect many years ago, I would find and download cool fonts when I had a spare moment. I loved to use different script font types on project boards for clients. Some people collect shoes and purses, I collect notepads and fonts. Yes, I know – I’m super cool. 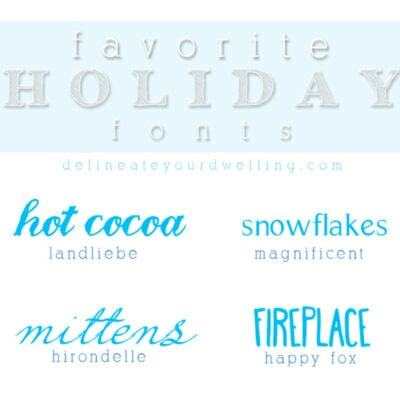 Today I am sharing my Top 10 Favorite Script Fonts. I think they all have a fun script font modern look to them, too. 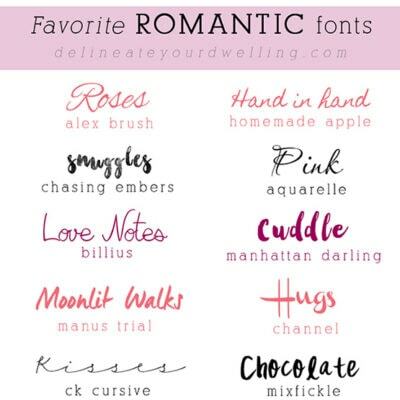 Download all the fonts below for FREE!! I have added EIGHT more script fonts because I can not help myself. 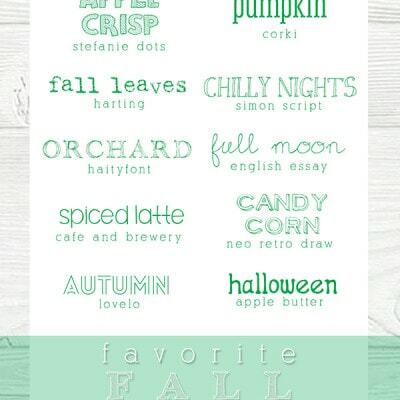 What are your favorite script fonts? 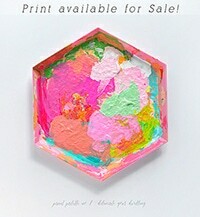 Be sure to share them with me, because I am always on the look out for new fun ones. 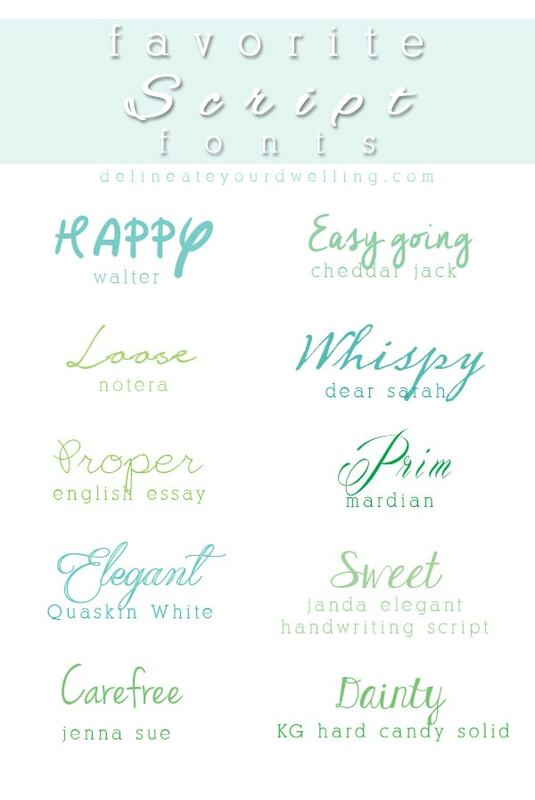 Looking for help on what to do after you download a beautiful font? 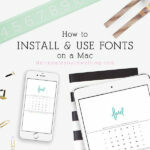 You might want to check out my How to Install and Use Fonts on a Mac post. 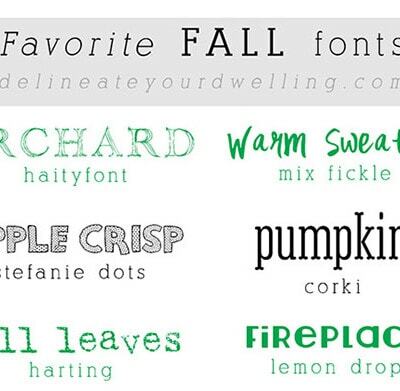 If you liked these FAVORITE FONTS, you might like these fonts, too! I am so glad I stumbled upon this, not only to find these great fonts but to discover that I am not the only one who just loves fonts! I collect them for projects of course, but also for not any other reason besides that I find them interesting, beautiful, funny, or inspiring! So happy to hear I’ve got another font lover out there!! 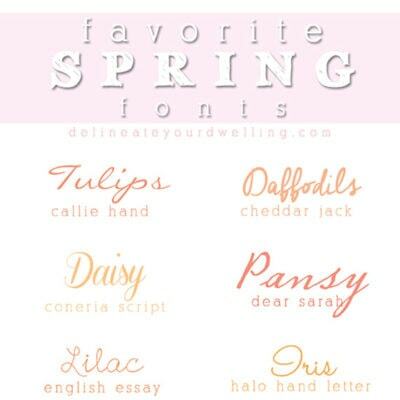 These are some great fonts! Thanks for sharing! 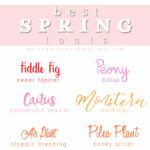 I love this roundup of fonts! 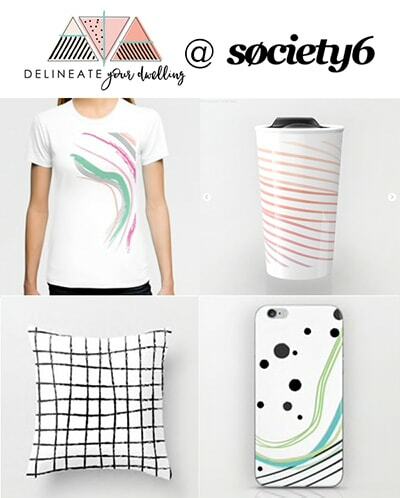 I’m always tweaking my blog design and just updated it last night. Stopping by from Share the Wealth Sunday and hope you’ll linkup 3 posts with our Small Victories Sunday Linkup too. 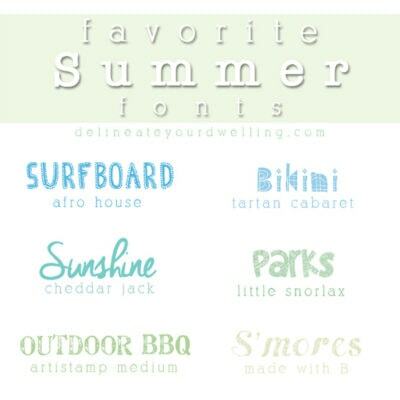 I’m addicted to fonts, and I love everything in the summer collection you shared, too!